Want the modern look but can't decide what to display on your walls? Here are ten inspiring ways to combine period wall art with a modern interior. William York MacGregor was a Scottish landscape painter and leading member of a radical group of artists known as the Glasgow Boys. He is remembered for his modernist paintings of small coastal towns and careful depiction of light. Inspired by the French 'plein-air' method of painting, he ventured outdoors and captured the light and colour of the summer scenery on the east coast of Scotland. Melrose is a superb example. Its balanced composition and warm peach hues are an excellent match for a cosy contemporary living space. Louis Marcoussis was a Polish-French painter, engraver and satirical cartoonist. He became a citizen of France after serving in the French Foreign Legion, and spent much of his life in Paris. Initially an Impressionist painter, he adopted Cubism after meeting Picasso and became a leading figure of the movement. 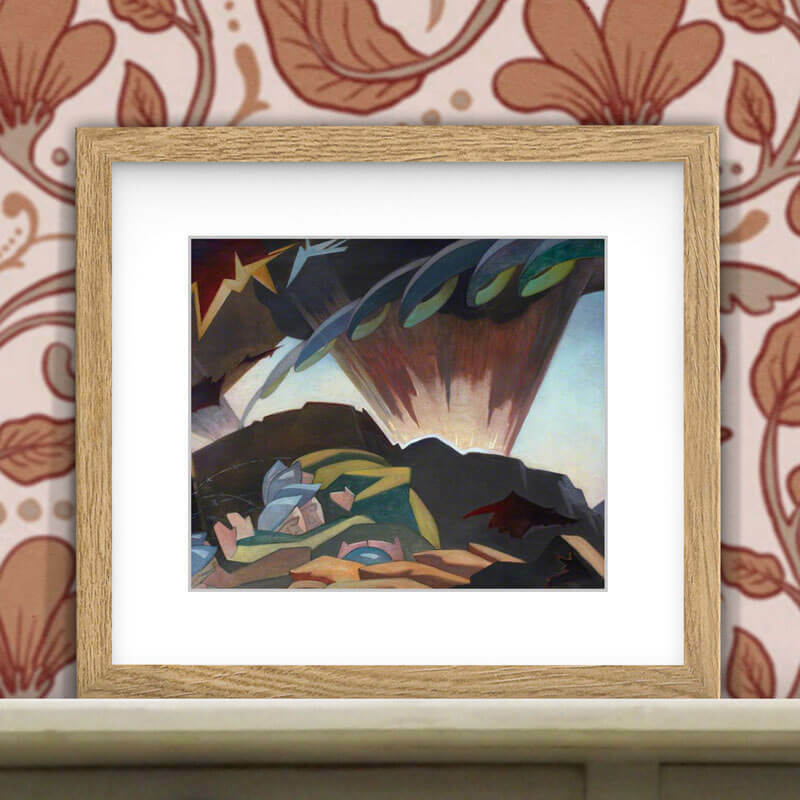 This print, titled Still Life, is an archetypal Cubist work. 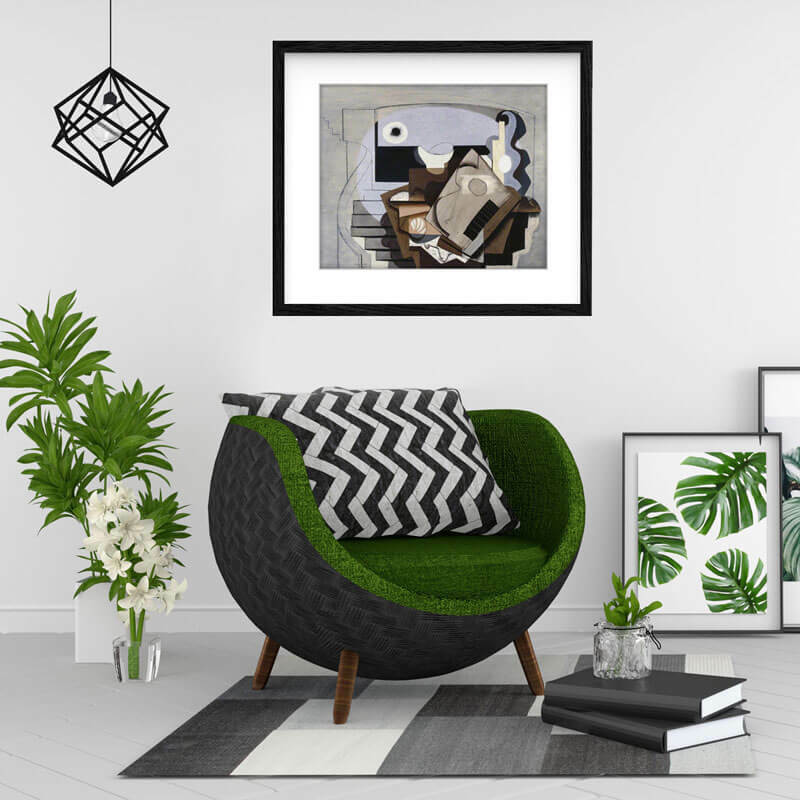 Its layered geometric lines and abstract shapes are even more striking when combined with bold textiles and avant-garde home decor. William Bruce Ellis Ranken was born in Edinburgh, 1881, the son of a wealthy and successful solicitor. He studied at Eton and later trained as a painter at the Slade School of Art. He moved to Chelsea in 1907 and became a familiar of the Edwardian aesthetes, a privileged social circle of artists and writers. He is best known for his paintings of high-society ladies, gentry and royal estates. You can see over eighty of his works in public collections on his Art UK profile page. Pictured is Girl in a Hat, an attractive period portrait set against a bright swatch of colour. Its unusual graphic quality makes it a dramatic centrepiece for this Minimalist interior. The palette enlivens the room and mirrors the green and red of the flowers. The pictured image is of A Heron Standing, an oil on glass painting that resides at St Fagans National History Museum in Cardiff, Wales. 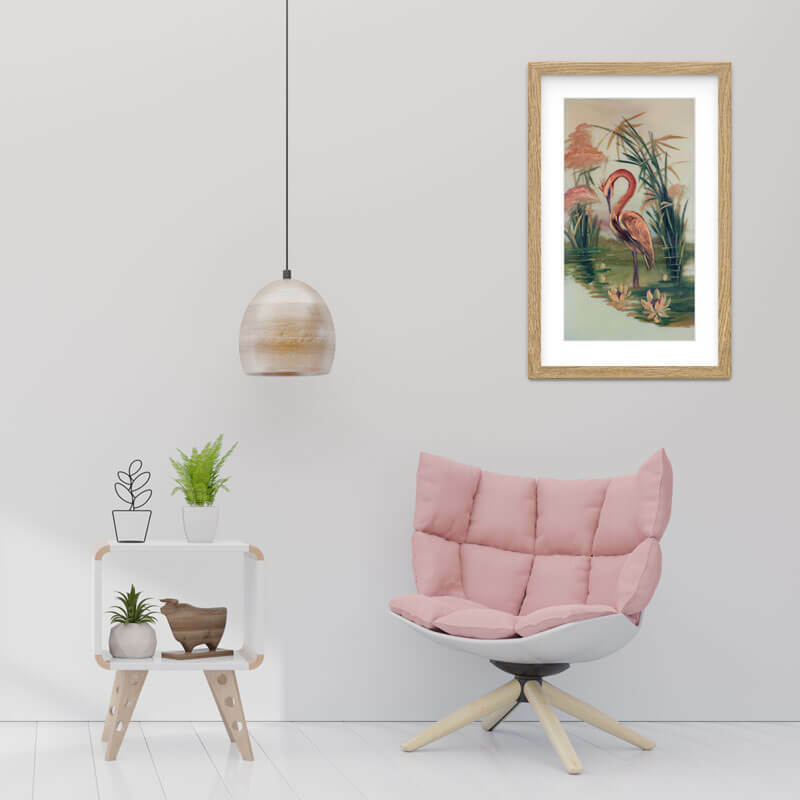 This pine-framed print makes a playful addition to a kitsch, modern space. We've been unable to credit the maker of this hidden gem, but if you have special insight into any work, then you can share your findings on Art Detective. You can uncover more hidden treasures by exploring the 'unknown artist' category on Art UK. Stokes was a landscape painter from Southport. He was a contemporary of 'plein-air' painters, such as Jules Bastien-Lepage and William York MacGregor, and adopted the outdoor painting ideology. His decorative landscapes are an attempt to distil the atmosphere and mood of the countryside. 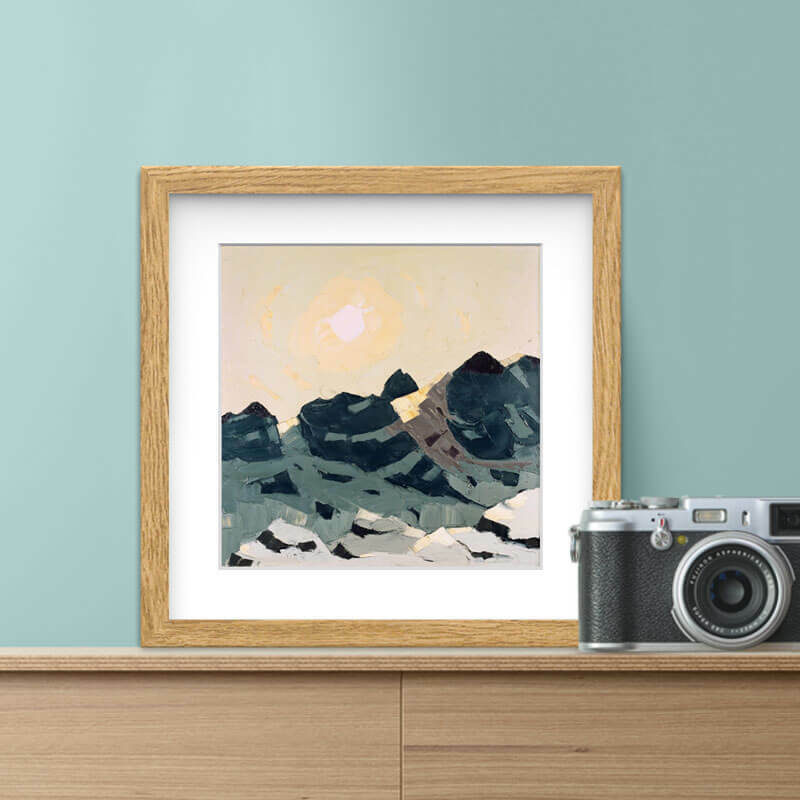 This framed print, November in the Dolomites, is a quiet and calming view of the Italian mountains. 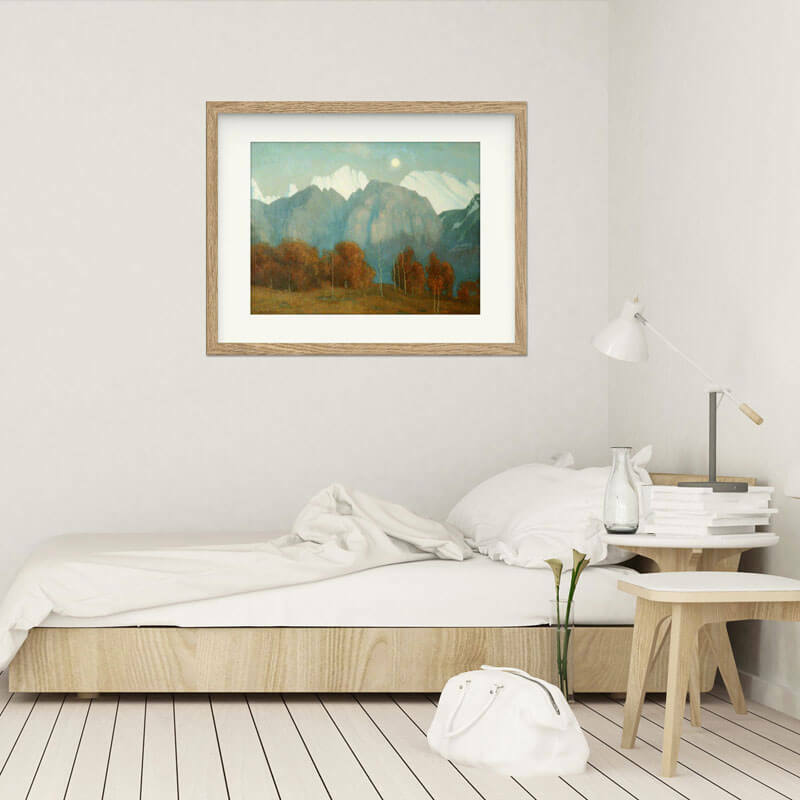 Its autumnal browns and muted green-blue tones help create a tranquil bedroom space. Edwin Long was a Victorian era classical artist. He was a portrait painter initially influenced by Spanish masters such as Velázquez and their authentic and naturalistic style. Upon travelling to Egypt and Syria, he developed an exotic, romantic style of painting and became known for his works depicting biblical stories and Egyptian mythology. 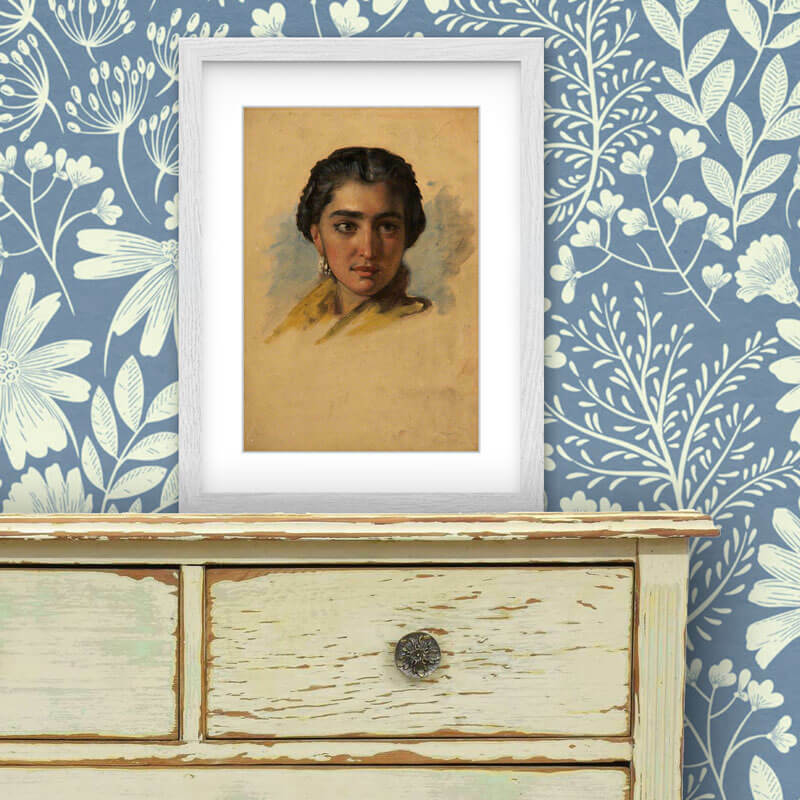 The pictured print, Head, is a gesturally painted head study of a Middle Eastern woman. It's a lovely match for the rustic 'shabby chic' of painted Victorian pine furniture. L. S. Lowry is best known for painting northern England's smoky stacks and urban landscapes during the mid-twentieth century. Regular visitors to Manchester Art Gallery also have great affection for his tutor, the French painter Adolphe Valette. Many of Manchester's smoke-stained factories and mills are now transformed into bars and apartments. 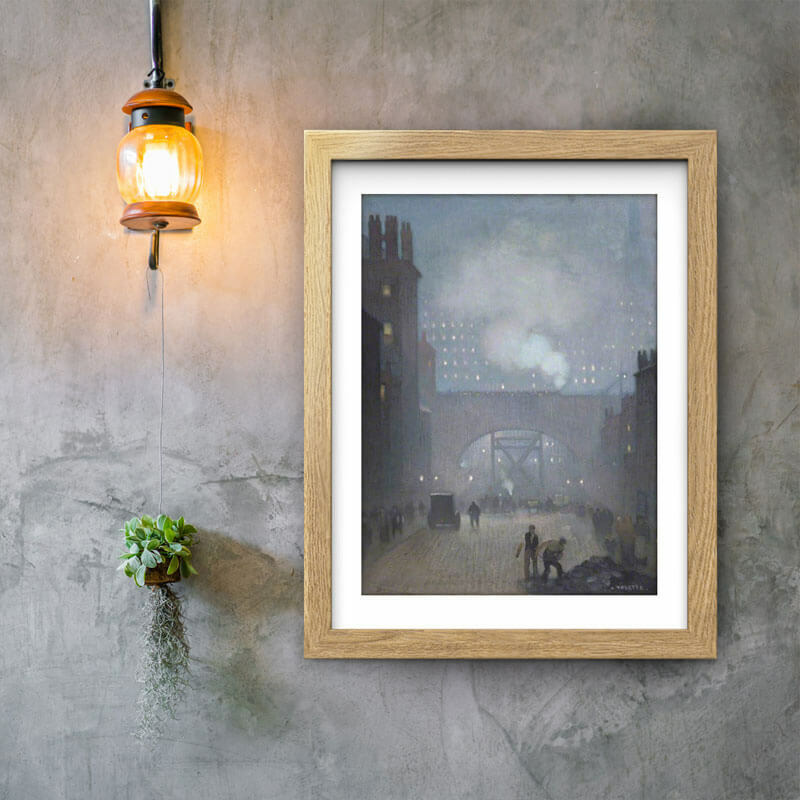 Valette's attractive and painterly visions of city centre Manchester combine perfectly with a modern 'industrial chic' interior. 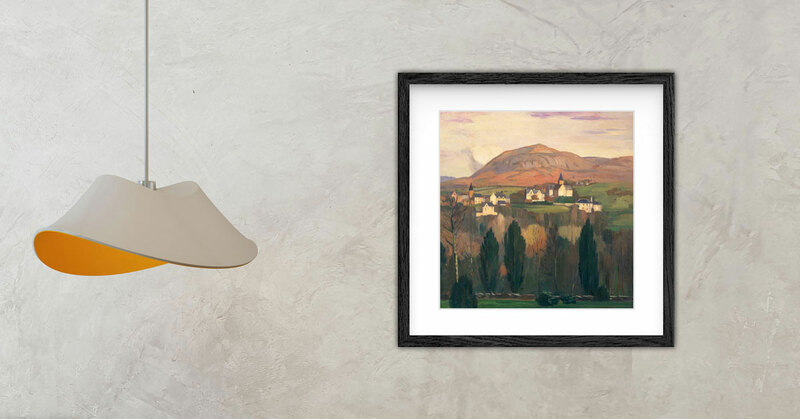 Kyffin Williams is widely regarded as the definitive Welsh painter of the twentieth century. His recognisable palette-knife painting style and bold use of colour are trademarks of his work. Williams is remembered for his brightly coloured Welsh landscapes and characterful portraits. May 2018 marked one hundred years since his birth. 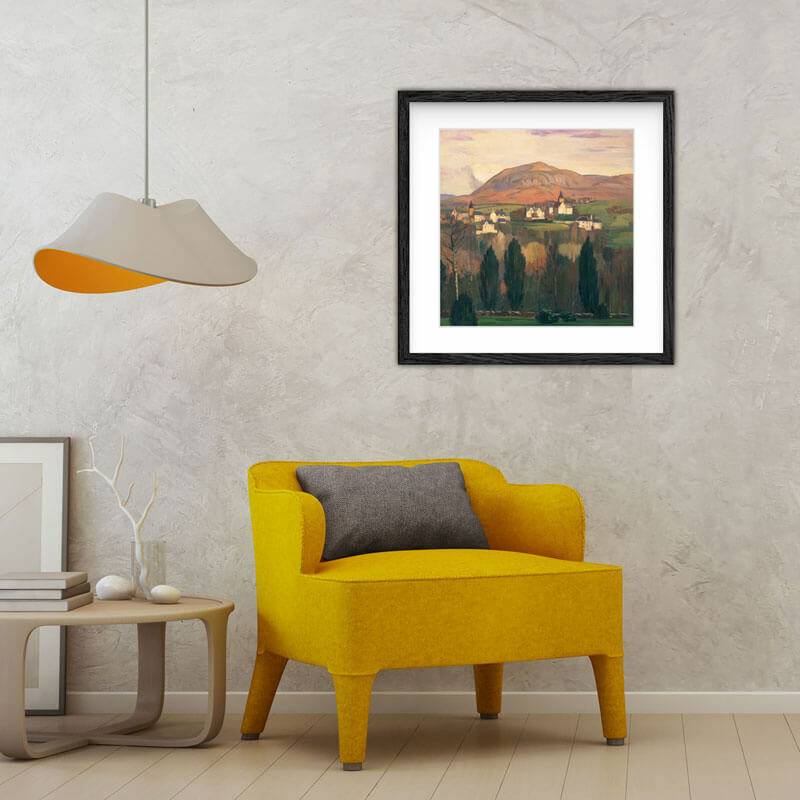 Visit the Kyffin Williams centenary page, and find a painting to enhance your home's colour scheme. Eric Robertson was a Scottish painter and a member of the Edinburgh group (1919–1921), alongside his wife Cecile Walton, Dorothy Johnstone, and friend D. M. Sutherland. He was influenced by the Pre-Raphaelites and symbolist artist John Duncan. Shellburst on first impression appears to be simply an abstract collage of shapes and colours. Closer inspection reveals a scene of war and two soldiers cowering as a shell detonates. An Arts and Crafts decor would pair well with this piece. 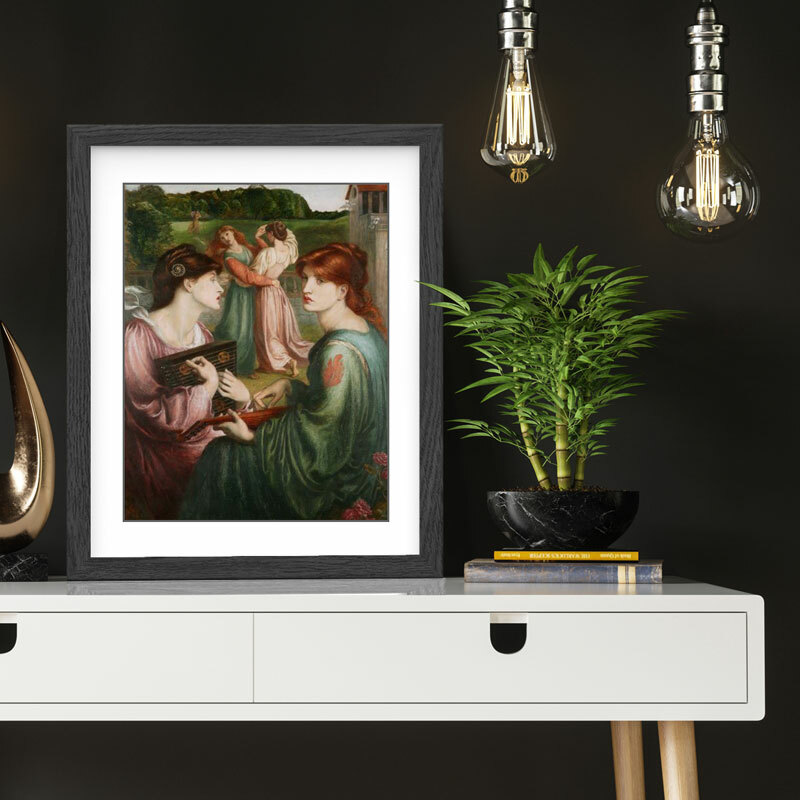 The Bower Meadow is a quintessential Pre-Raphaelite piece. The Pre-Raphaelite brotherhood was a society of artists who objected to the Royal Academy's endorsement of Renaissance art and a mechanical approach to painting. They valued realism, vivid detail and tended to explore narratives of beauty, sexuality and death. Read our Five stunning Pre-Raphaelites article to view five of these fabulous works placed in a modern setting. 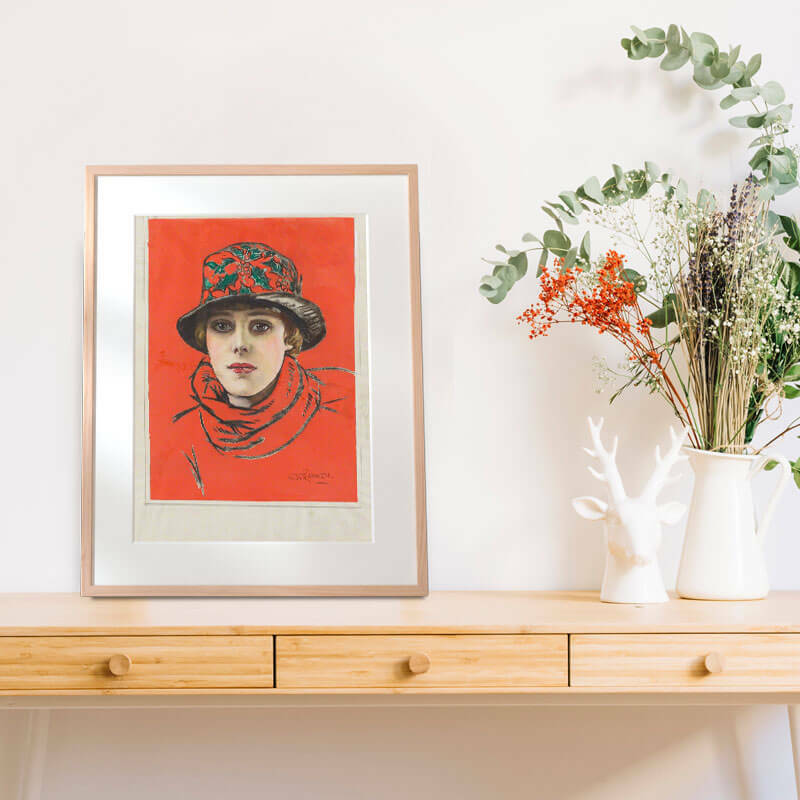 Which Art UK print is a perfect match for your home decor style?